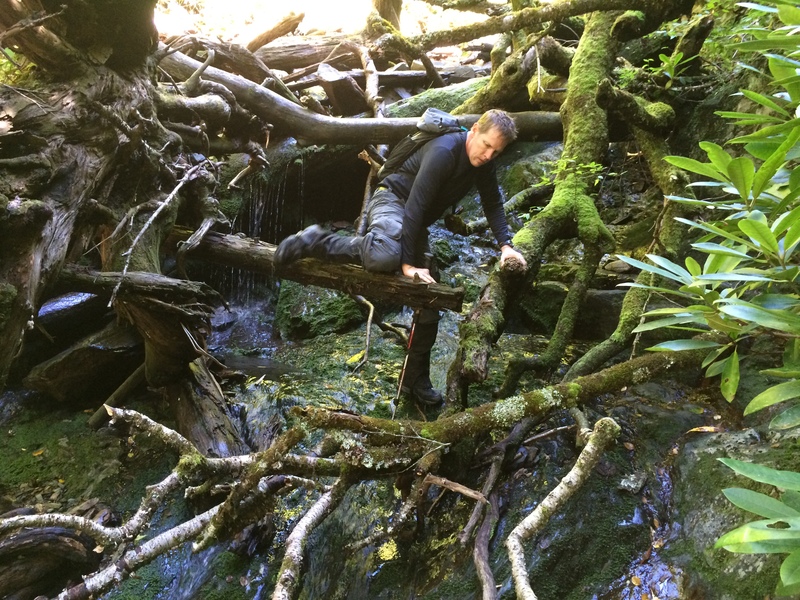 This blog entry is by Peter Bennett, Jenny’s brother. 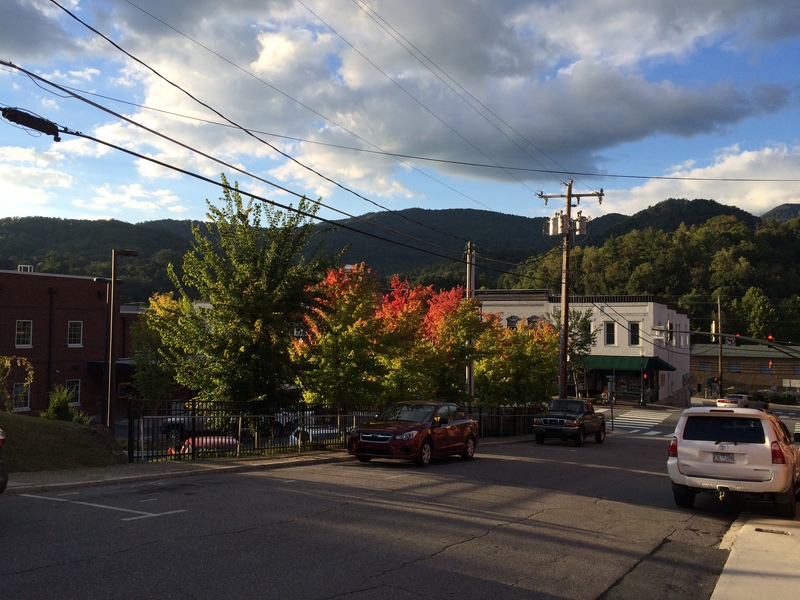 After the hike up Lester Prong, I drove Jenny’s car to Sylva North Carolina. I was able to find new homes for most of her belongings and packed the remainder into the car. The red Subaru parked on a street in Sylva. 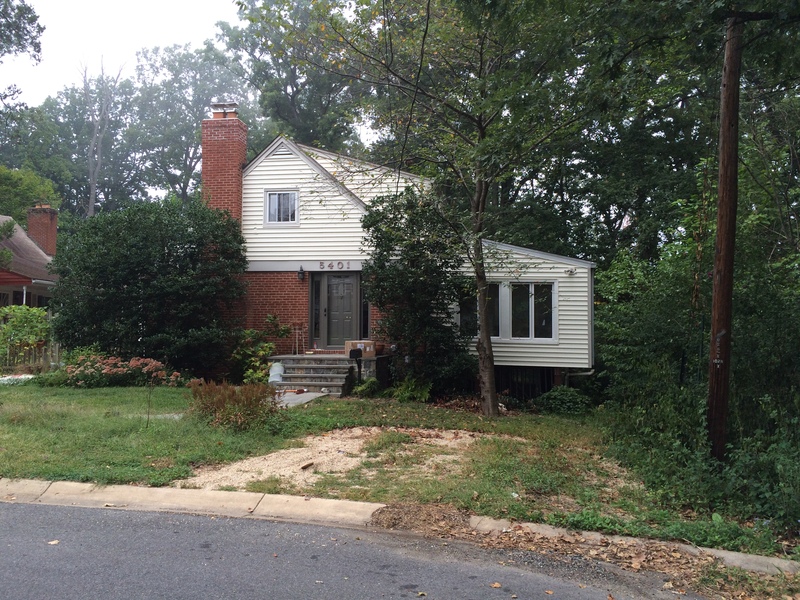 Then I drove north to Arlington Virginia where we grew up. The house on 3rd street where we lived. It has been remodeled, but the brick is still original. 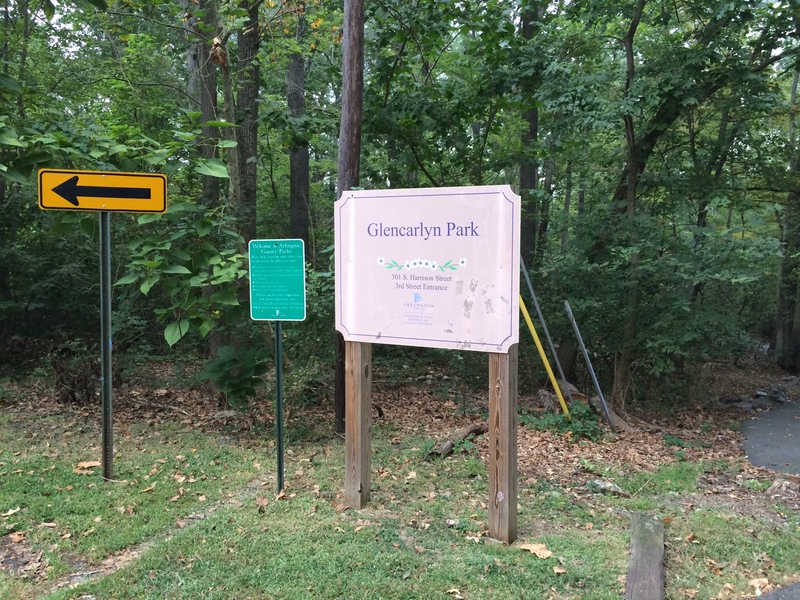 Glencarlyn Park is right next to the house. These are the woods where we played and explored. 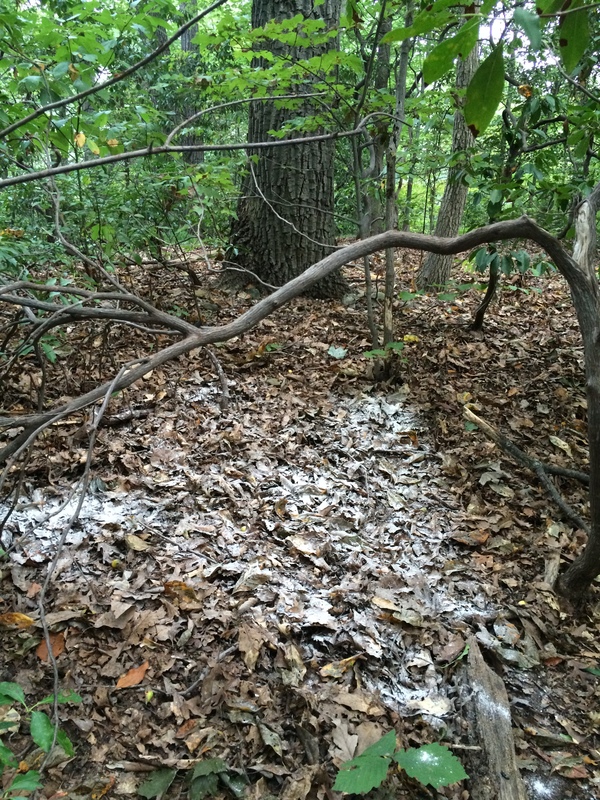 I found a private spot in the woods behind the house and spread some of Jenny’s ashes. Leaving Arlington I drove north to visit my other sister Betsy in Massachusetts. We had a good visit and reconnected with each other. Once our time together was complete, I drove north up through Vermont and then over to New Hampshire and the White Mountains. Mount Jefferson is where Jenny and I had one of our hiking adventures. On that trip many years ago we got lost in the fog on top and had to yell back and forth to keep from getting separated as we descended the mountain. I arrived at the Caps Ridge trail head about 5:00 PM and prepared Jenny’s pack for the ascent. 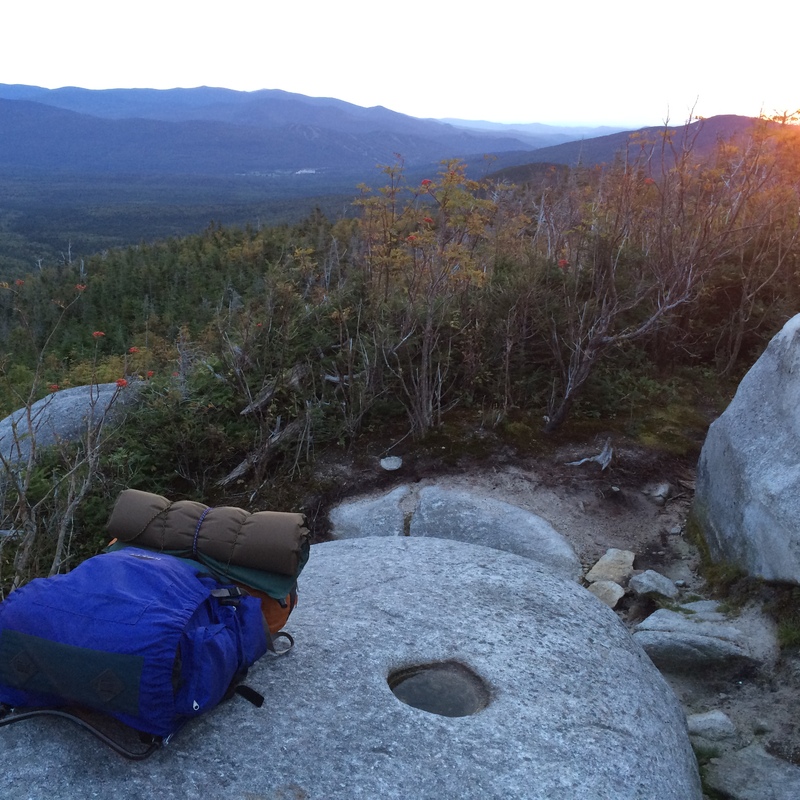 I found a granite ledge with a great view just as the sun was starting to set. I spent the night on the ledge under the stars. 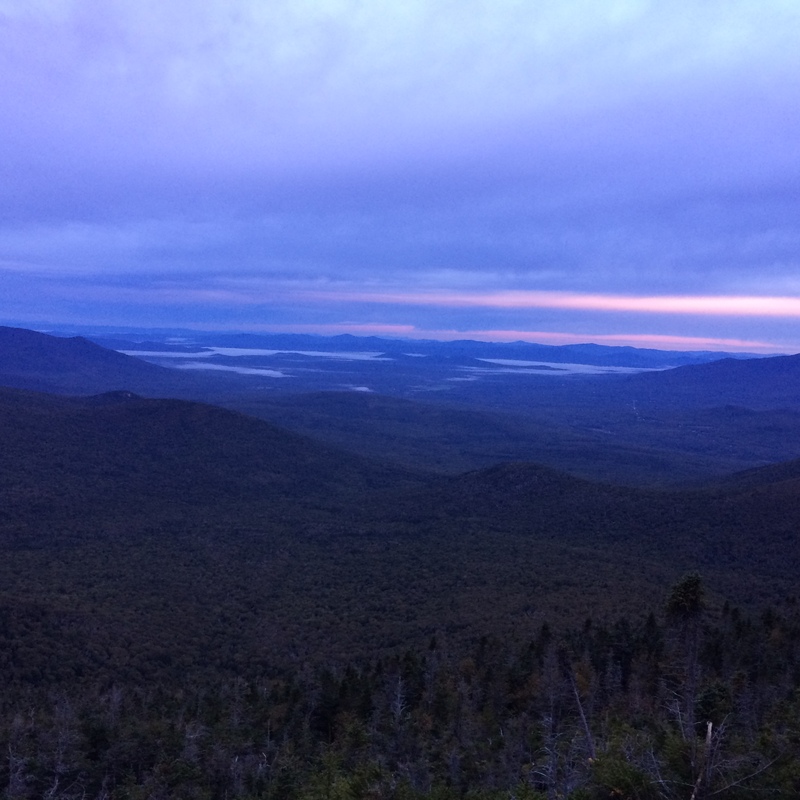 I got up at first light and continued the hike. Looking out to the valley there were patches of fog in the low lying areas. 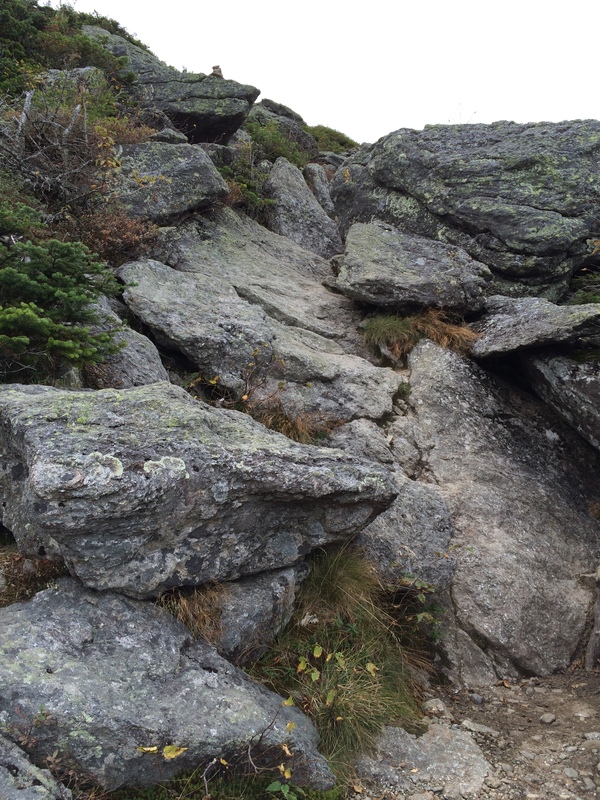 The trail was steep and rocky in many places. Just the kind of hiking Jenny loved so much. Scrambling up the rocks with a frame back pack was not easy, but with Jenny’s trusty hiking pole I was able to keep going. Trail sign near the top. 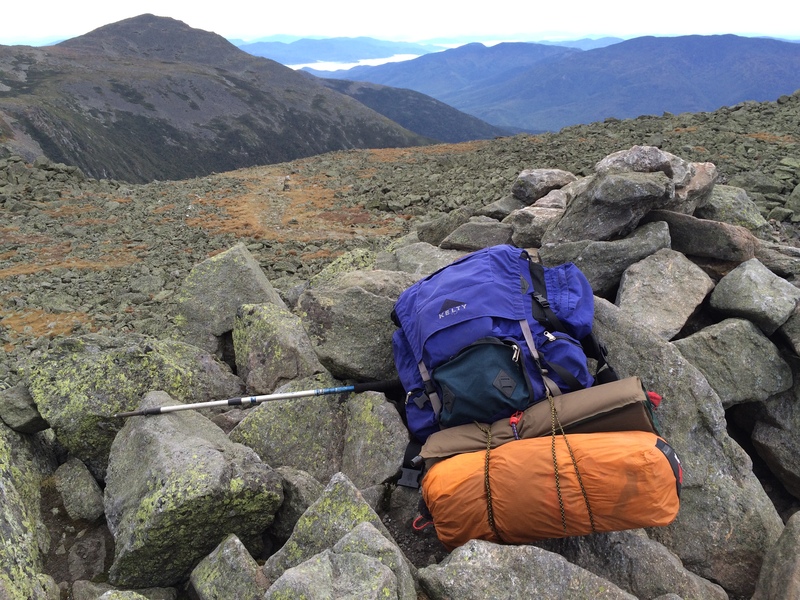 Jenny’s backpack and hiking pole on the top of Mt Jefferson. Mt Adams is in the background. 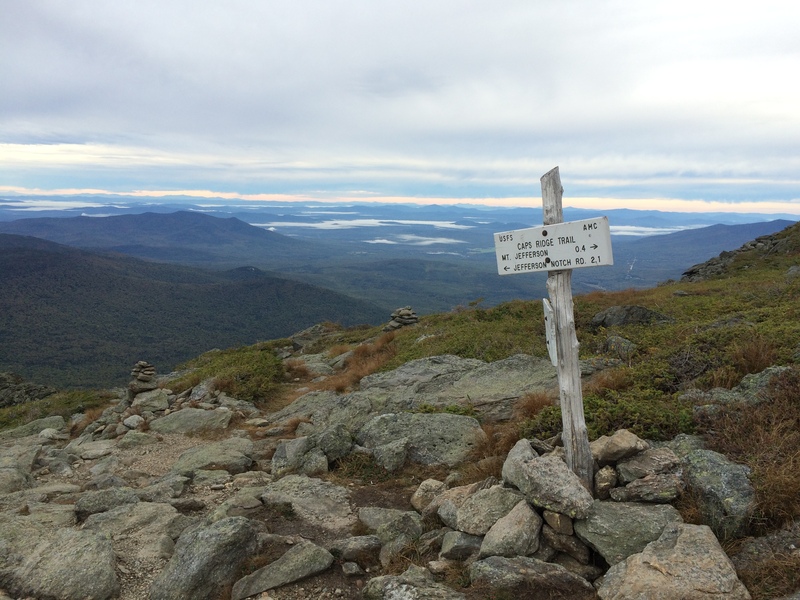 When Jenny married Chris Hebb they had a second ceremony on top of Mt Adams that I witnessed. 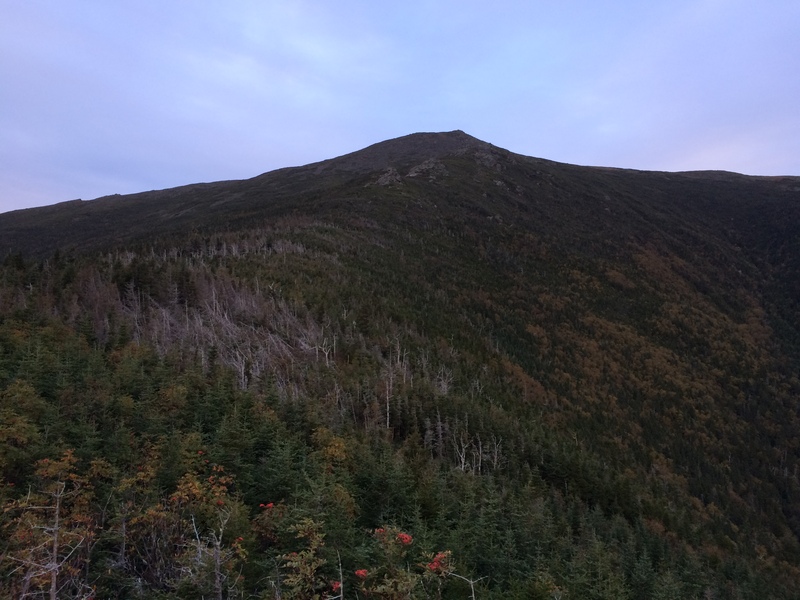 Mt Washington is near by. 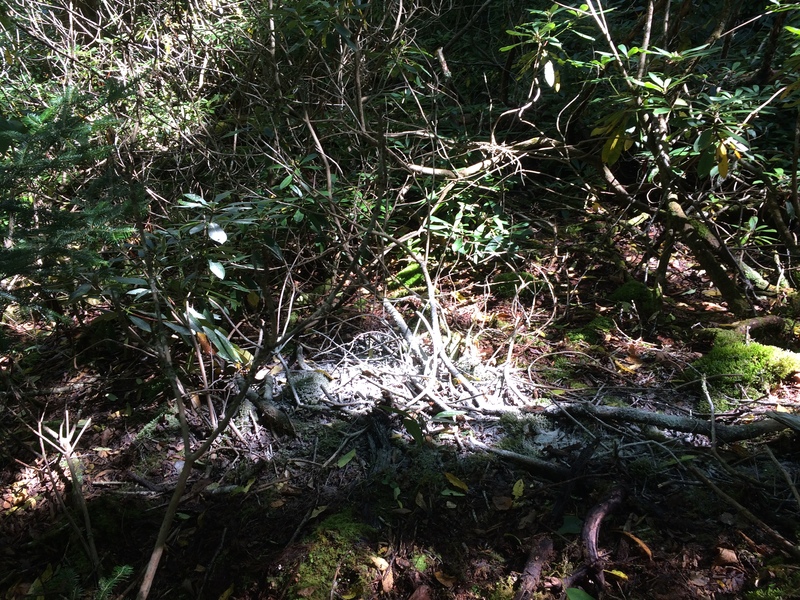 I found a spot away from the trails and scattered more of Jenny’s ashes. 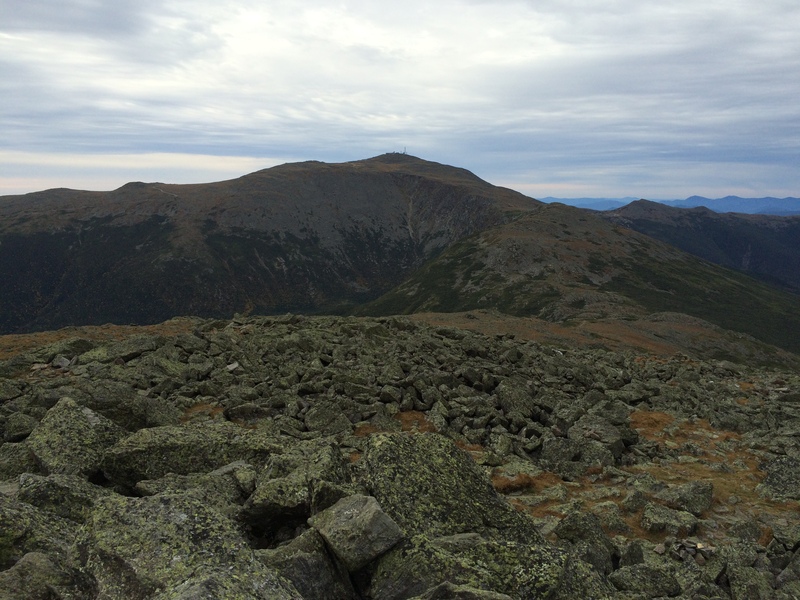 She had climbed all these mountains many times and I knew she would want to have a final resting place here. 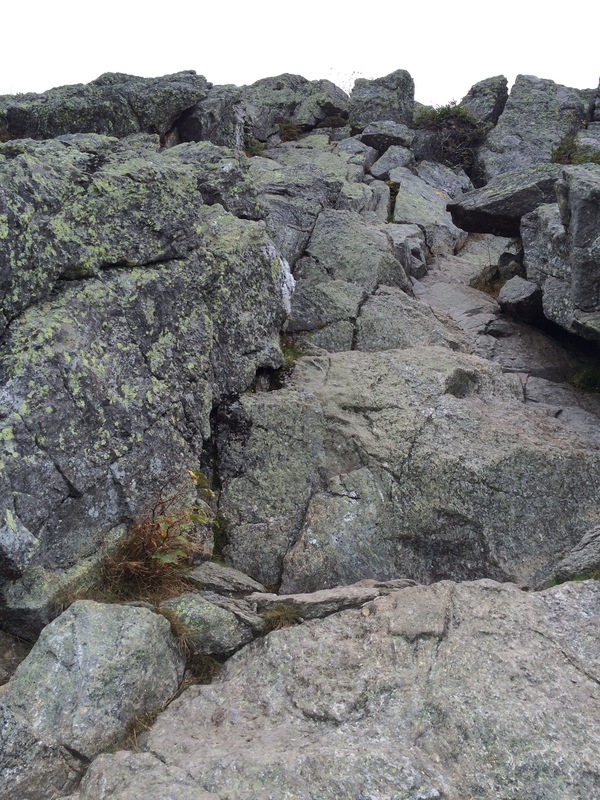 Descending the ridge from Mt Jefferson. I felt it was important to honor Jenny by scattering her cremains at these important places in her life. 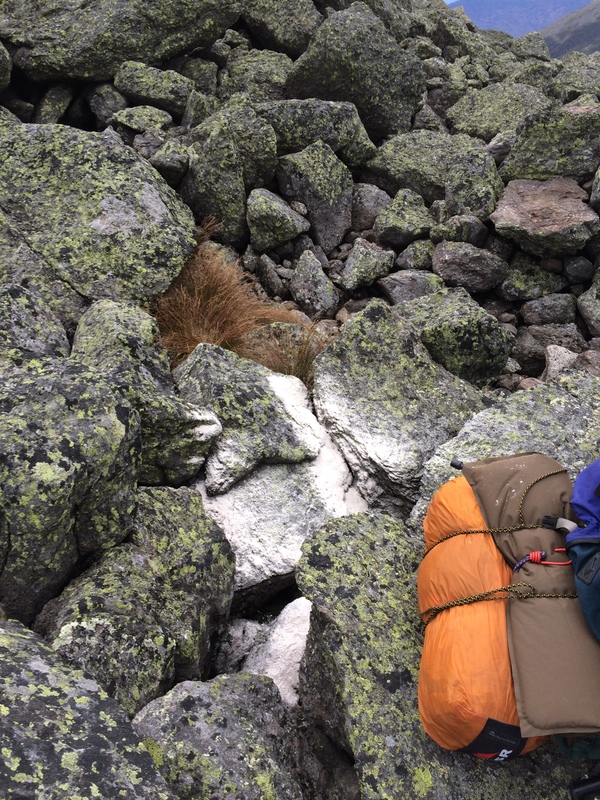 Her life was full of adventure and the hikes to her final resting spots were the kinds of challenges that she enjoyed the most. Posted by Peter Bennett, Jenny’s brother. 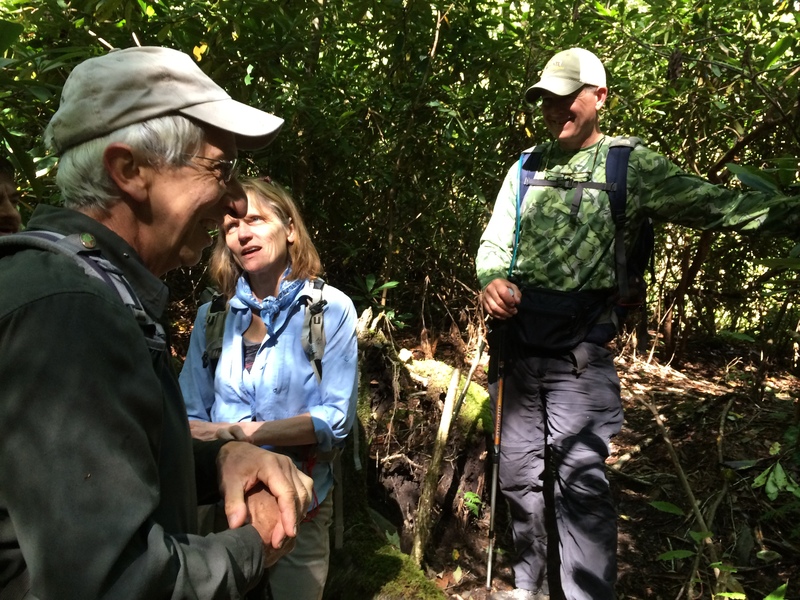 On Monday September 14 2015 Jenny Bennett made her last hike up Lester Prong. 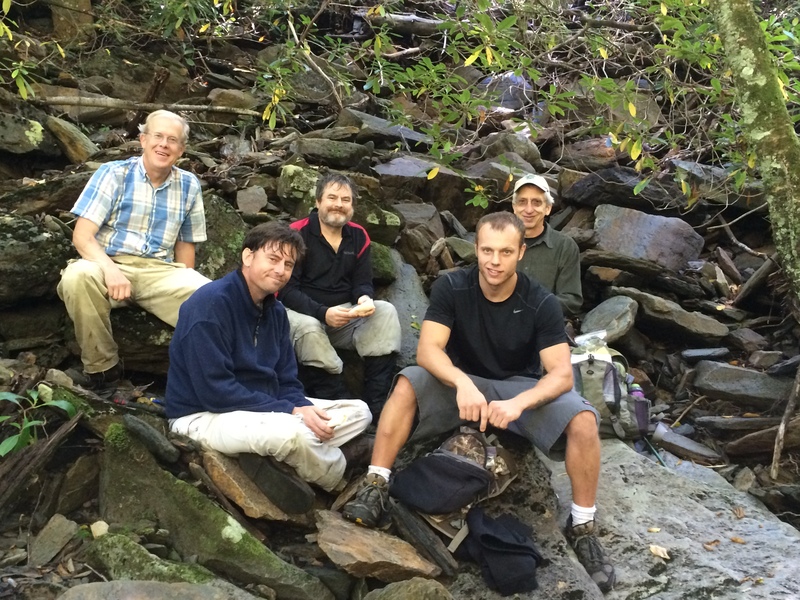 This hike was led by Ed Fleming and Clayton Carver. 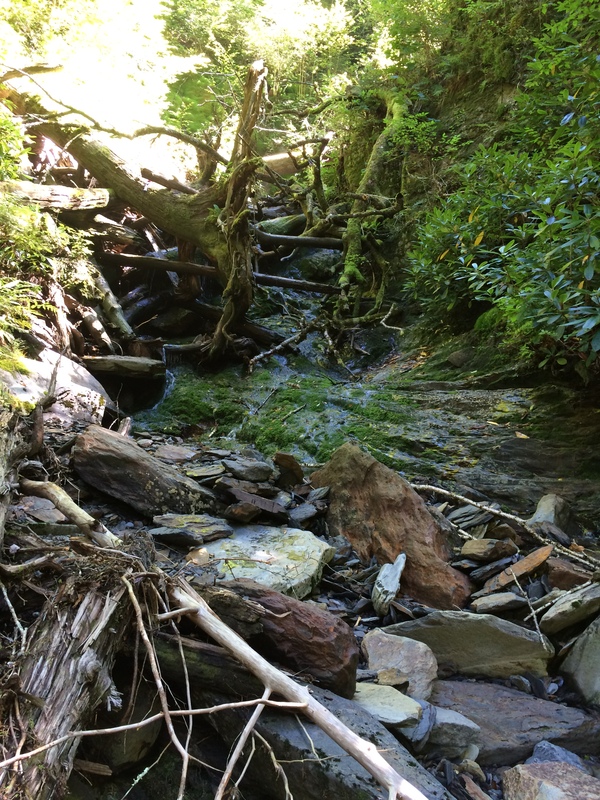 A group of six hardy hikers made their way up Porter’s Creek to Lester Prong and bushwacked their way up to an elevation of 4400 feet. This was the spot picked by Jenny to spread Charlie Klabunde’s cremains, but she was unable to complete that hike last spring. Ed knew the spot and lead us to it. This time it was to spread Jenny’s cremains. We followed Lester Prong up. The first part was not too difficult. 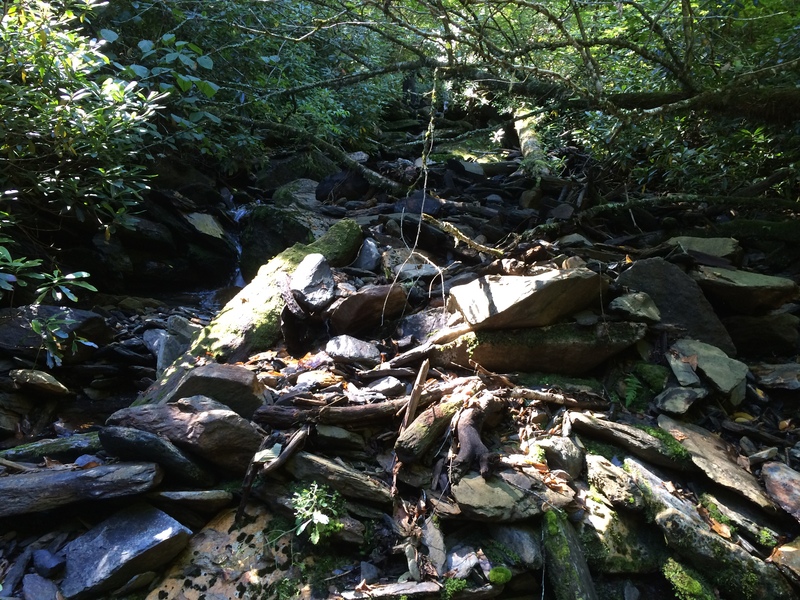 Further up Lester Prong the creek was rocky and full of brush. Tree trunks and roots blocked the way. 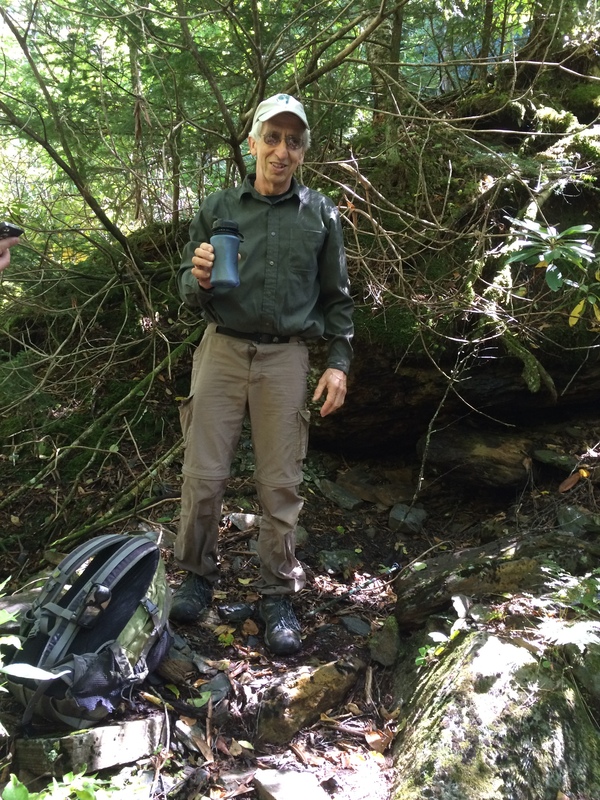 Ed found the spot where he had placed a newsletter from the Smoky Mountains Hiking Club in a water bottle. The newsletter was dated August 1984 and it describes a hike led by Charlie Klabunde up Lester Prong to the Jumpoff. It was Jenny’s first hike in this area. The group at the spot. We spread Jenny’s cremains at the same place where Charlie’s were. We said our goodbyes to Jenny. 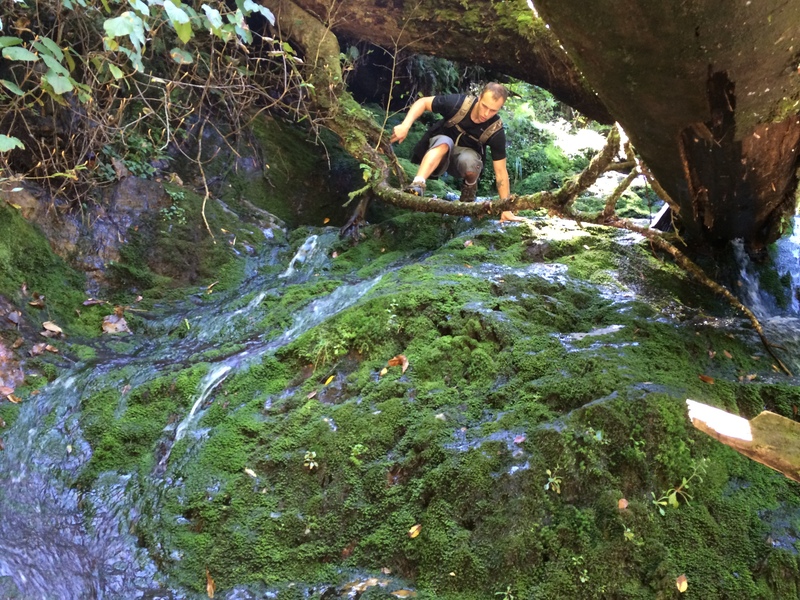 Clayton coming down the slippery rocks and crawling under tree trunks. 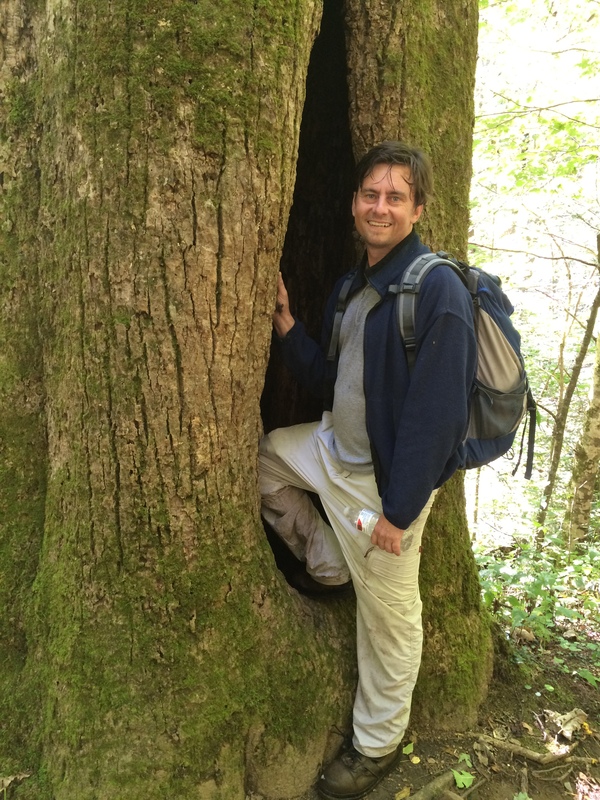 We stopped on the way out to check out a giant poplar tree that was hollow inside. It was so big Jim could fit inside. We will always remember Jenny. She has been an inspiration to many people. 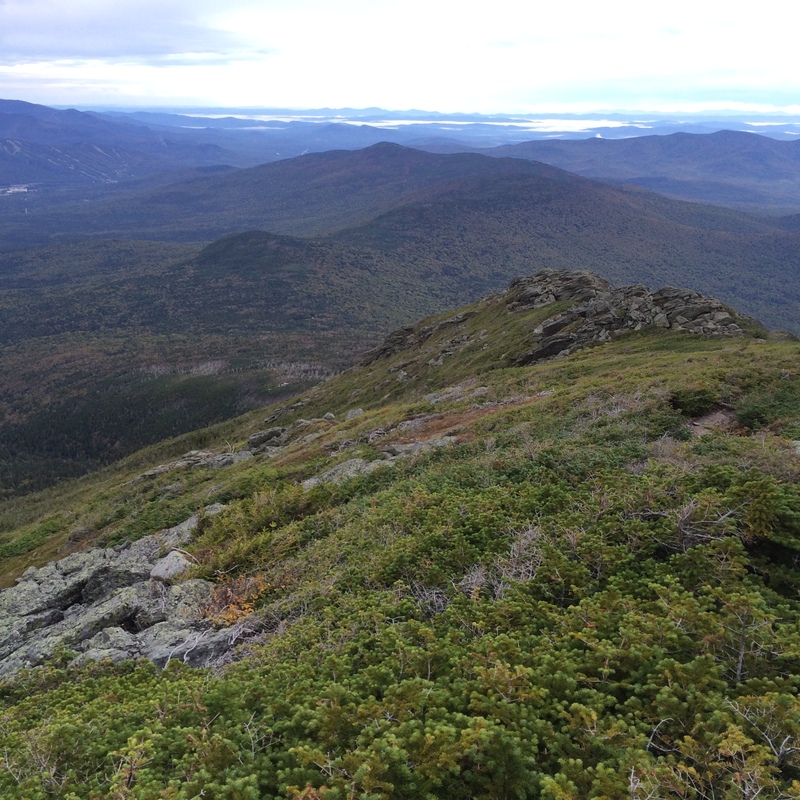 I am planning another hike in the White Mountains to spread more of Jenny’s cremains. 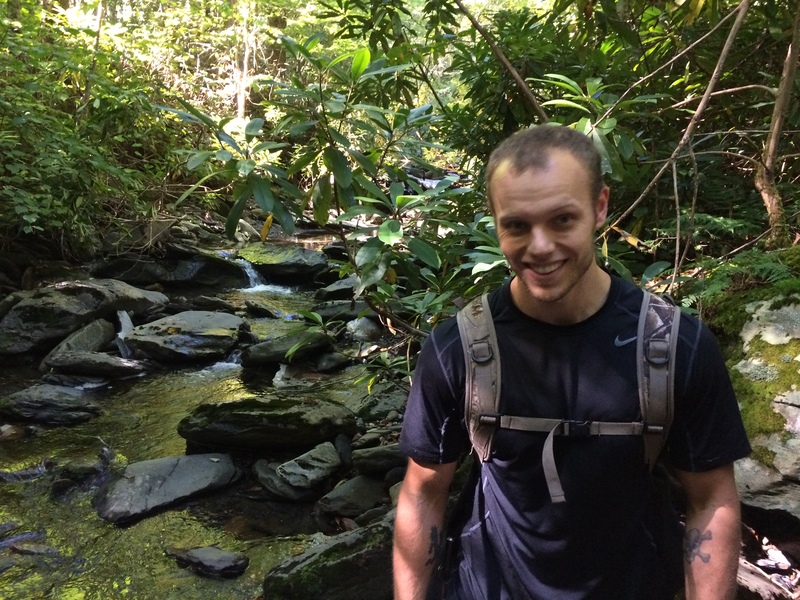 For those of you who have not already Googled “Jenny Bennett Smoky Mountains hiking”, here is a brief outline of what happened. Jenny was planning on moving to Vermont to be closer to her sister Betsy at the beginning of June. 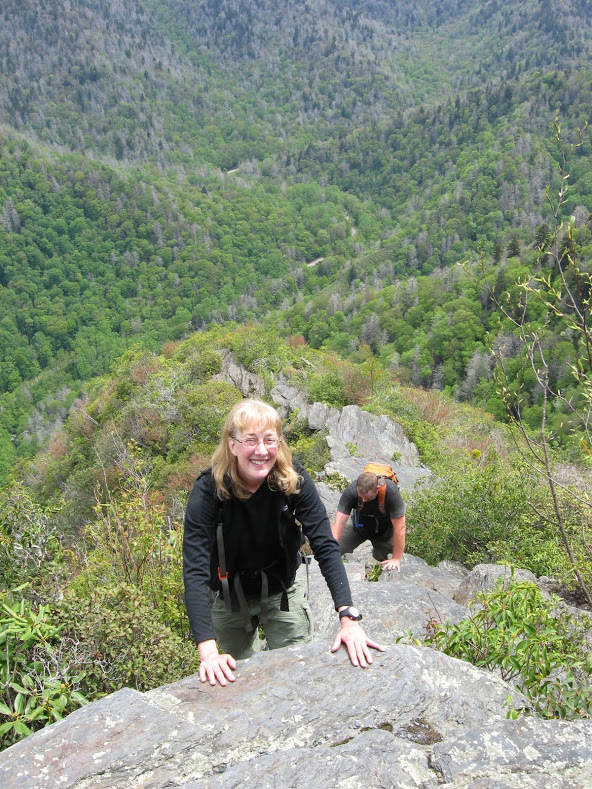 She had packed most of her belongings and must have decided to make one last hike to her favorite area of the Smokies. She went up Porter’s Creek (setting for her first novel, Murder at the Jumpoff) and never returned. It was about a week before her landlord went to the house she was renting and realized that she had never left. He called me (Peter) and we were both very concerned. A search was launched, her car was found at the Porter’s Creek trailhead, and her body was found the next morning. Details of what actually happened to Jenny are unclear. The Park Service launched an investigation after her body was found, but they still don’t know everything. It is likely that we will never really know what happened. 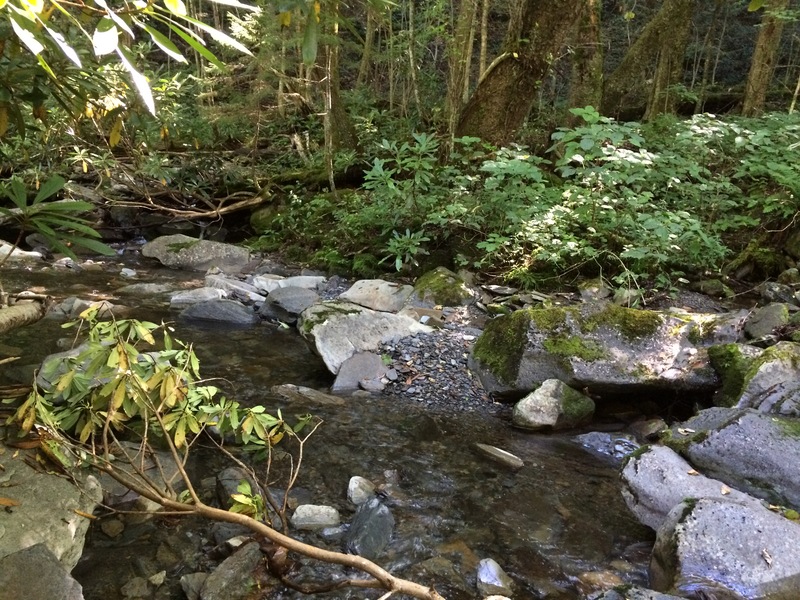 We do know that Jenny died in her favorite place in the world, the beautiful Smoky Mountains.